All products in this pack are suitable for Vegetarian, Vegan and Halal. Jerk Sauce and Hot Pepper Sauce are Gluten Free. 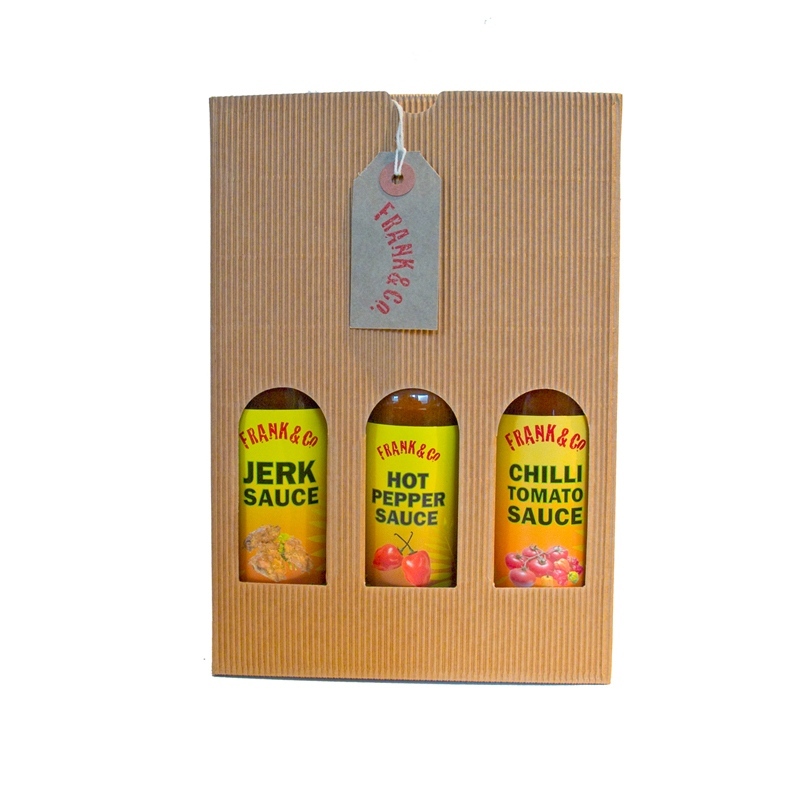 Be the first to review “3 Sauce Gift Pack” Click here to cancel reply.